Developed in response to changing trends in retailing, NexxstarTM resin formulated films combine exceptional packing integrity, economic advantage and packaging-line reliability with the superb optical properties of clarity and gloss for enhanced brand promotion. Making them ideal for bundling and multipack packaging applications! The increasing trend towards bundle and multipack product purchasing in supermarkets, warehouses and clubstores means that packaging integrity is of paramount importance. And, with a high percentage of purchasing decisions made in-store, on impulse, packaging solutions with the ability to influence and prompt products selection in increasingly crowed retail environments are a necessity. Using Nexxstar resin formulated films will help your products "go the distance" - from factory floor to store to the consumer's home in 'one piece'. In today's fast-moving markets, Nexxstar resin formulated collation shrink films deliver outstanding performance for clear and glossy surfaces, providing your brands with the image they deserve...leading to dazzling retail results! With as much as 70% of products in stores being bought on impulse, packaging is playing an increasingly important role in retail marketing strategies. Expressly designed to help brand owners implement successful retail strategies, Nexxstar resin formulations for collation shrink films enable products to stand out on crowded shelves, encouraging shoppers to pick up and buy. They also provide a level of packaging integrity and protection that is difficult to match with conventional packaging solutions - ensuring that products arrive in optimum condition. Retail environments are becoming increasingly complex - more products, crowded shelves and multi-product packaging. Giving products shelf appeal and creating those “double take” moments in-store to stop a shopper in their tracks to buy a specific product is becoming a critical part of a brand manager’s retail strategy. And, today’s increasing trend towards multi-product packaging means that packaging integrity is essential. Ensuring that products remain undamaged from factory to store to the consumer’s home is crucial. Outstanding aesthetics — exceptional transparency, high gloss and uniform printing surfaces for strong in-store marketing, branding and retail display Superb film transparency for clear product visibility and high gloss with excellent printability for selling and branding opportunities in warehouses and clubstore outlets. High package integrity — sealing consistency, high holding force, excellent tear resistance and puncture resistance for load stability from packaging to the store to the consumer’s home . Fewer damaged and returned goods. 6 can multipacks at 4Opm and thinner, allow cost savings of 10-25% with no loss of integrity. 24 can bundles on a tray at 40-50jim provides cost savings of 10-25% with no loss of integrit. Range of film thicknesses allowing packaging of a variety of product types and quantities .from 30-6Opm, for 6 packs to 24 packs and larger. Reliable packaging at state-of-the-art line speeds . 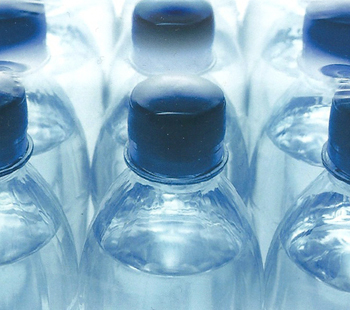 Optimized coefficient of friction to enhance packaging efficiency . Potential for paperboard reduction or elimination. Two new advanced product grades of NexxstarTM low-density polyethylene and NexxstarTM high-density polyethylene were developed expressly for these high performance NexxstarTM resin formulation solutions for collation shrink films, in combination with a specific grade of Exceed TM metallocene linear low-density polyethylene. This innovation is the culmination of ExxonMobil Chemical’s advanced polyethylene process and film application technologies that offer brand owners and converters a new generation of enhanced, custom-designed flexible packaging solutions. Collation shrink packaging films manufactured using Nexxstar resin formulations from ExxonMobil Chemical have been tested extensively in laboratory development conditions, on commercial film-making equipment and on high speed packaging machinery at consumer products companies in Europe, North America, South Africa and Asia. In order to meet specific end-use requirements, ExxonMobil Chemical has integrated knowledge linking new polymer innovations, film processing parameters and package performance criteria.